I don't think I would have stumbled upon The Wake Up if I hadn't been given the chance to review the audio. It caught my interest because it is published by Lake Union, an Amazon imprint that is marketed as "book club fiction" and because it's one of those books by an author who has written a bajillion books, yet I've never heard of her. 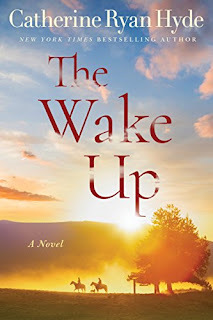 Set in a small rural town in Northern California, The Wake Up tells the unconventional story of Aiden Delacorte, a mild-mannered middle-aged rancher who wakes up one morning with the ability to feel the emotions of the animals around him, which proves to be a challenge for a man who makes money off the pain of animals. This hyper-empathy sends his life spiraling in a new direction at the same time he opens his heart and home to his girlfriend, Gwen, and her two children. 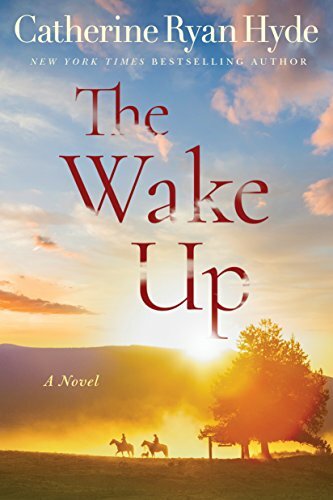 The Wake Up is steeped in family drama, love, redemption but still has a very light touch The great outdoors and the love of animals plays a big part in the healing process for the characters. To me, this book read like inspiration fiction and except for a bit of language, it's pretty clean I thought it was a great pallet cleanser with characters you could root for and moments that will warm your heart. Moreover, I like to call this book a cure for toxic masculinity. I mean you have this archetype of a lone rancher and you think when he is plagued with emotions he would try to push it away--but instead, Aiden accepts it. He talks about his feelings and he even goes to therapy to help sort out his emotions. There is a scene where Milo and Aiden are driving home from a therapy appointment and they talk about what they are going through and I just wouldn't have expected to see that. The book does try to reason out Aiden's empathy, but I like to think of it as a gentle dose magical realism infused with a contemporary narrative. If you are looking for a positive story about family and starting over The Wake Up won't put you to sleep.